Now let's trace what's going on when that that index dot php actually runs. So I'm going to go back to our site folder here and then I'm going to open up the index dot php file. As you can see, this file is quite a bit different. Let's work through each of these lines. 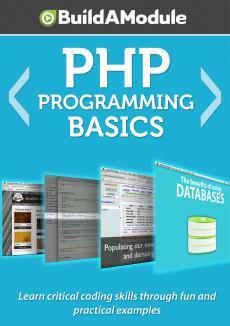 The first line here is an include of a new file, which is called functions dot php. Let's open that. I'm going to go back to our site folder, and inside of the includes folder there is our functions dot php file. Now in our previous step, this render_products() function was inside of our header dot php file, but because of the way things are ordered now, we need to be able to access any functions right away. Now you'll see why in just a moment, but we need to include our functions at the very top of our script so it's accessible throughout the rest of the script. Right now we have a single function called render_products() which used to be in our header dot php file. Let's go back to the index dot php file. So we include our functions dot php file. Next, what we're doing is grabbing the path because we need to know what page we're trying to get to. If we go to our homepage however, there may not be a path. I'm going to jump to the browser here and remove the end of the URL so we're in the base directory here.